Over the past decade, the IT sector in Auckland has shown a stupendous growth of 80% with over 6,700 companies employing more than 31,000 people. It also accounts for over 55% of the country?s GDP for this sector. Given these figures, there is no doubt that the technology market in the city is going to grow tremendously. Be Prepared An expanding technology market will mean a significant demand for qualified professionals in the segment. People with Scaled Agile Framework training in Auckland are likely to find good opportunities for career advancement. Those seeking newer pastures will also benefit from the right type of training or certification.The methodology employed byScaled Agile Framework (SAFe 4.5), is often used by largeAgile project teams to build up brand recognition, boost revenues, bring about customer satisfaction, and ensure the well-being of employees simultaneously. KnowledgeHut offers leading SAFe 4.5 certification training in Auckland to help you in preparations for an exam or a test related to it. The sessions for the Scaled Agile Framework certification in Auckland involveclassroom training and not online classes or online training. AScaled Agile Framework certifiedinstructor willbe conducting the two-day program to ensure that students benefit more than they would from any otherleading SAFe 4.5 online course. 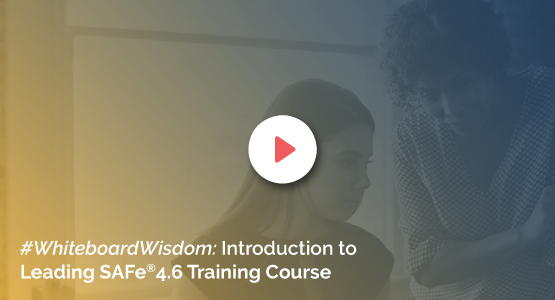 The course material covers topics such as introduction to the Scaled Agile Framework, adopting Lean and Agile values and SAFe 4.5 principles, and putting together an Agile Portfolio. A New Alternative By participating in the Scaled Agile Framework trainingcourse, students learn to implement coordinated releases across a program, evaluate the impact and progress of scaled Agile in a program, and set the organization on the road to enterprise success. All members of a team need to fully grasp the finer aspects of Agile if they are to successful make the shift from old to new core business processes. Training provided by instructors with several years of experience definitely has an edge over e-learningandonline classes. Keeping Ahead of the Curve	The course itself has no pre-requisites, but a good number of individuals with backgrounds in software development and testing, product and project management,portfolio management, development and infrastructure management, as well as system and solution architecture choose to complete the Scaled Agile Framework certification in Auckland. It helps them configure the framework for their context and understand the motivation of knowledge workers. KnowledgeHut Empowers You The Scaled Agile Framework training in Auckland is offered by KnowledgeHut at a good price for the benefit of persons who are interested in improving their skill-set and getting ahead of the competition.